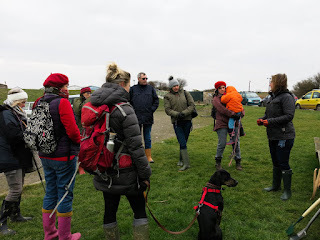 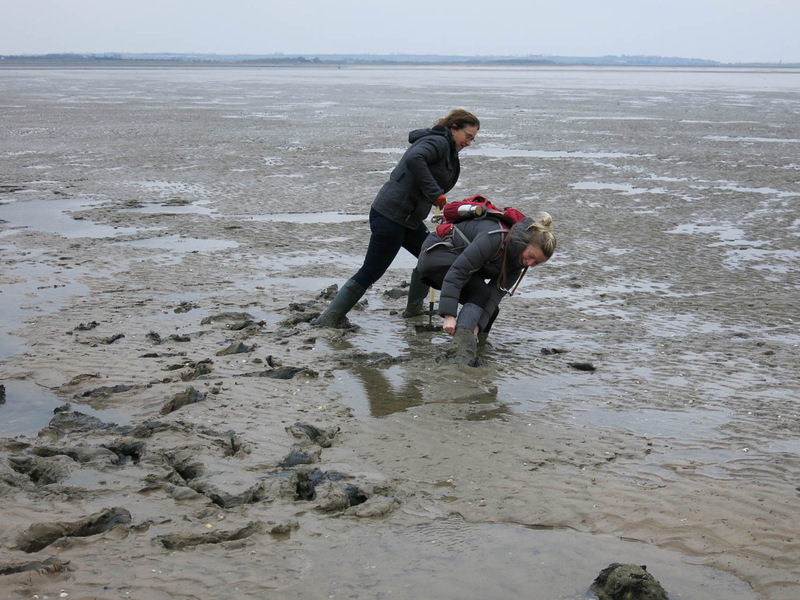 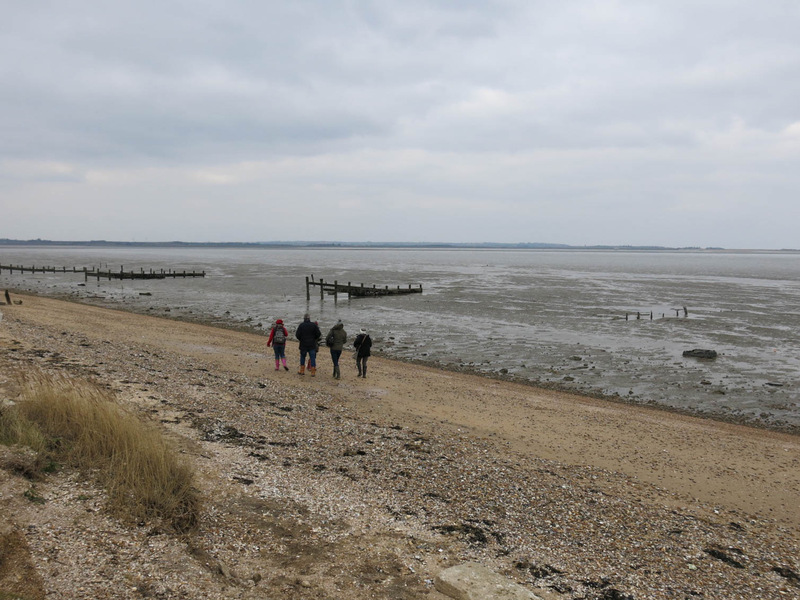 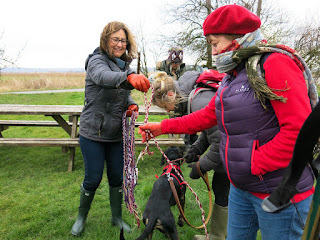 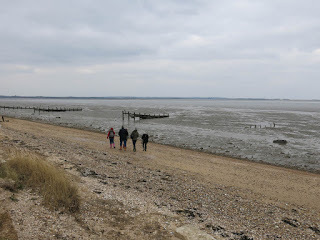 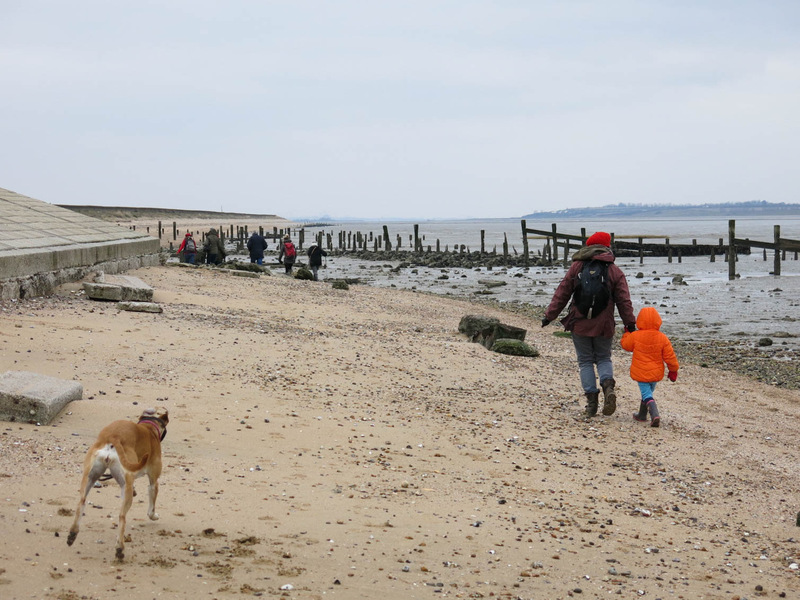 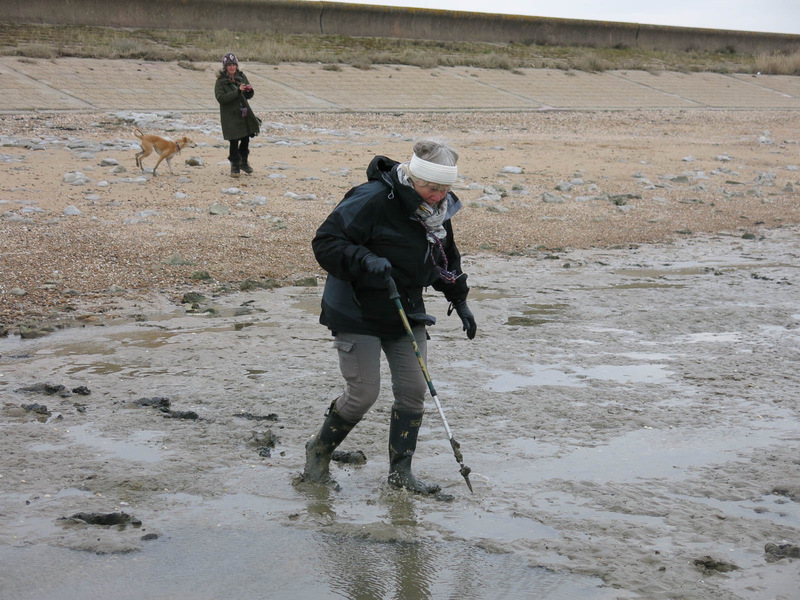 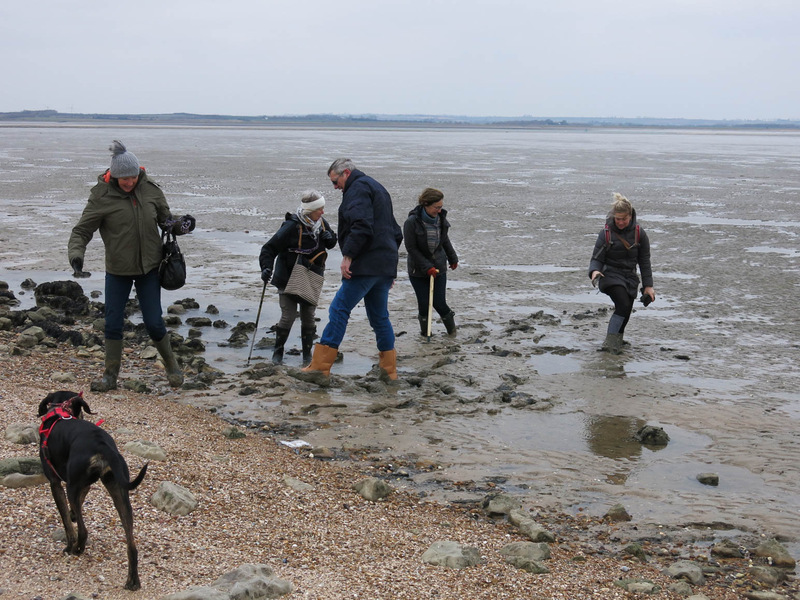 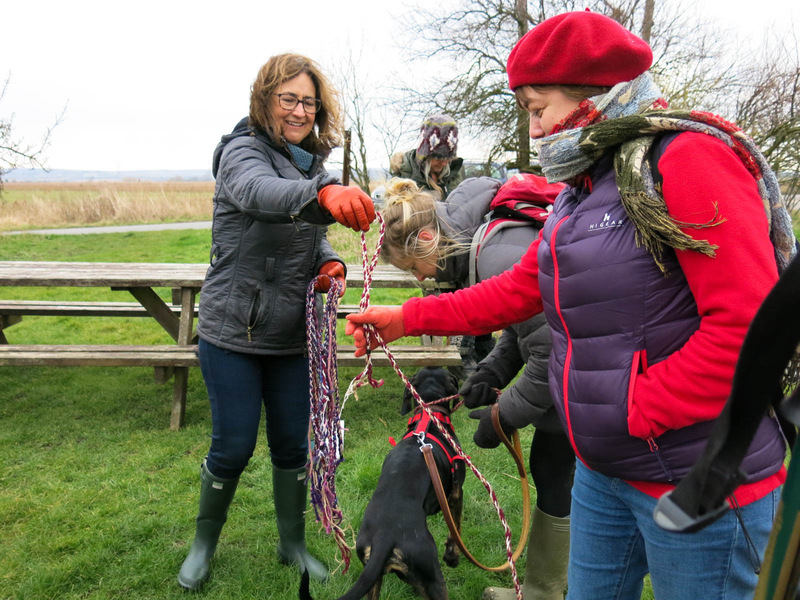 On Friday the 23rd of February, members from the walking group Walking with The Waste Land and their friends conducted a walk from the Sportsman Car Park in Seasalter, near Whitstable, in Kent. 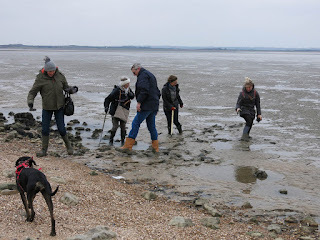 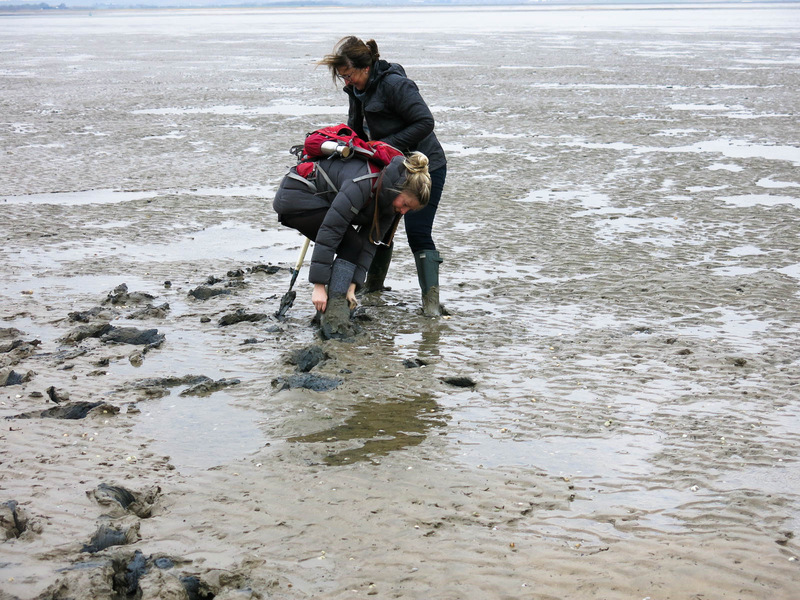 On this walk we walked to “ Mick’s post” and then experimented with some low tide mud walking, using knots in ropes to record the experience. 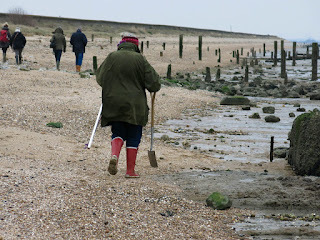 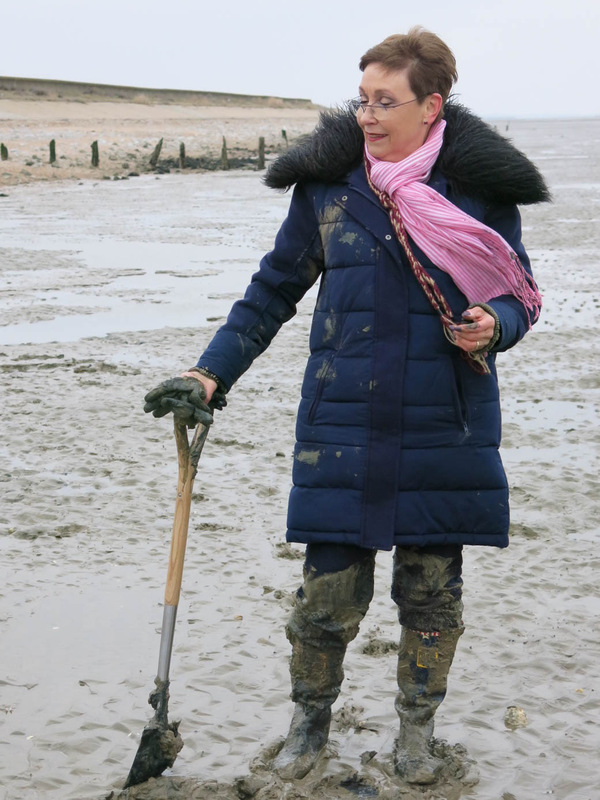 Mick’s post is a white post in Seasalter which has been erected near the sea wall to indicate the boundary for the digging of bait in the estuary.
" 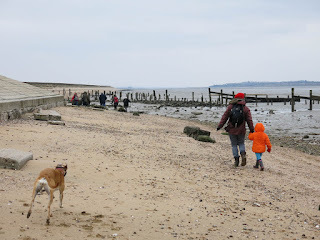 'Terminalia' is such a fascinating, Pagan but completely obvious concept. 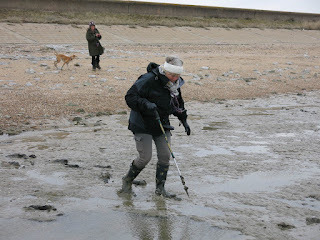 liminality is a subject that has always fascinated me and also the idea of the process of changing and shift shaping. 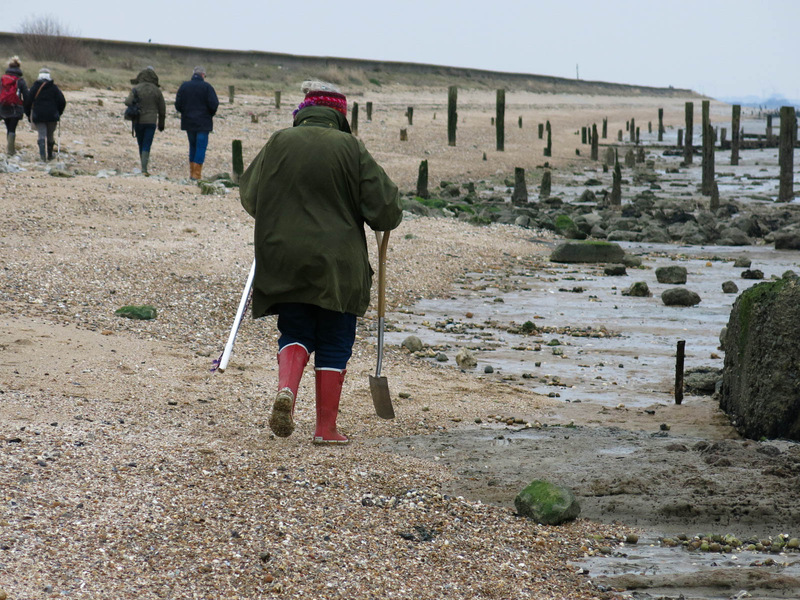 Did you know that the word 'Weird' originally meant Becoming? 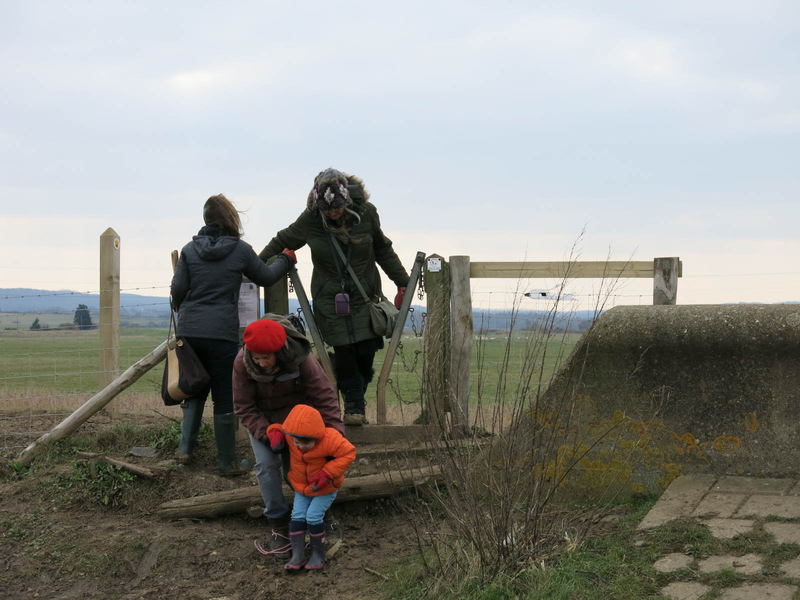 it is also entirely appropriate to the concept of using Myth in the modern world, not just because of the classical references but also because in fact you are crossing boundaries through time and space -one man all men, one woman all women, one stone all stones. 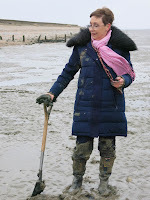 O and of course the time of year and the shifting from winter into spring." The Mythic Method and the essence of Modernity, as I understand it does not mean returning to the past but giving an understanding to the present. Through this walk and it’s connections with Terminus the Roman God who ruled over boundaries we pushed the boundaries of walking and discovered it wasn't easy! 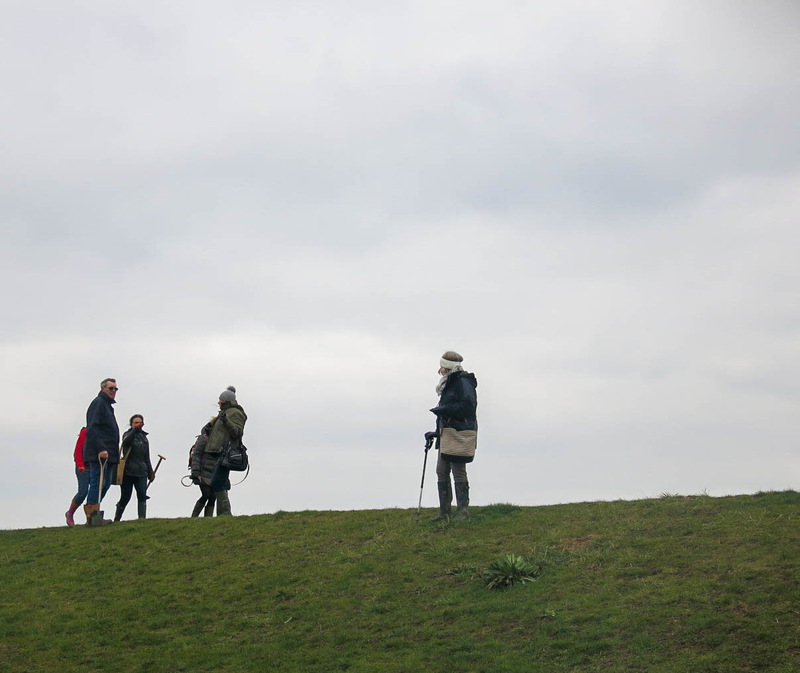 "Stories from Walking with The Waste Land"
meeting at The Turner Contemporary in the lobby.